But I am putting it down and that's why I'm only through one sleeve. The front and back are made separately, knit from one sleeve, across to the other. At first, I wanted this sweater to be super oversized with long sleeves; it seemed appropriate for winter. 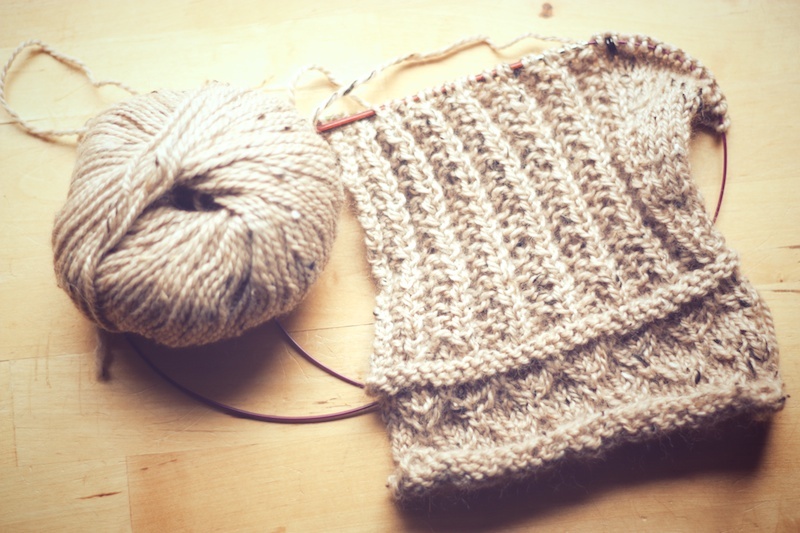 I gave up on that notion when I realized that changing the places of increase and decreases on the sleeves with all of different stitch patterns would make my brain hurt, especially at Christmastime. 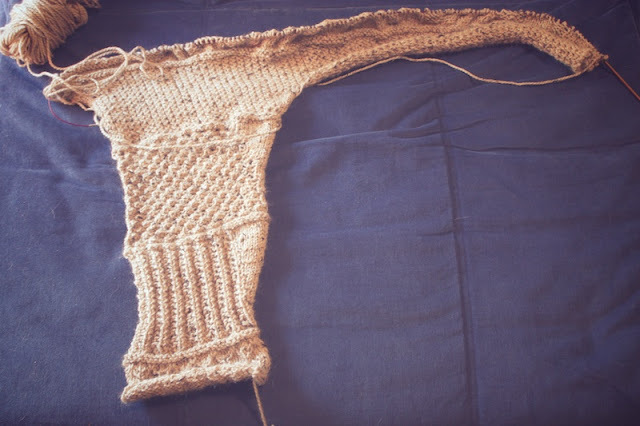 Besides, I doubt I have enough yarn for longer sleeves; and after working with the City Tweed, and feeling how lightweight it is, I'd rather this be more fitted with three quarter length sleeves. 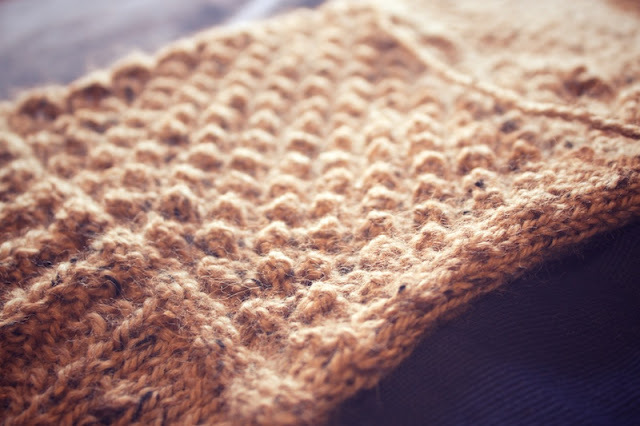 But it's still so appropriate for winter with tweedy yarn, texture, and cables. There's so much going on here that you can't be bored. In fact, I've had to turn off the tv to focus on the ever- changing stitch patterns (textured, cabled, puff stitch, etc) ... and I liked it. It's like an evening treat to sit down with it. It's all quiet with Elvis' White Christmas on the turntable and lights blinking on the tree. 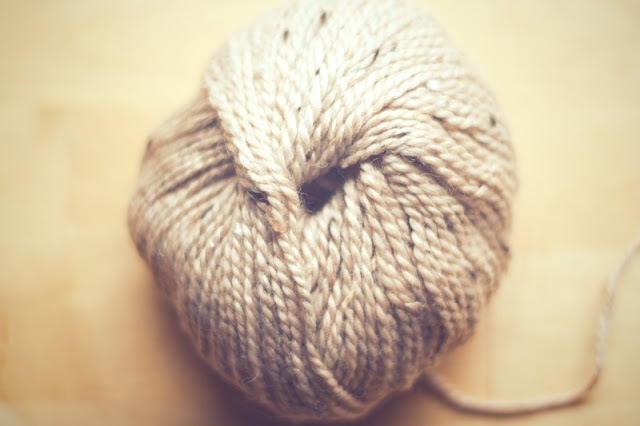 Is this decadent crafting because it makes me feel a little guilty? Much of my day was spent this way yesterday because my son was home sick from school. I sat by him while he slept on the couch, knitting this way. Later, he asked if all of my days were like this when I'm home alone and if it is really relaxing. They're not; but it is. 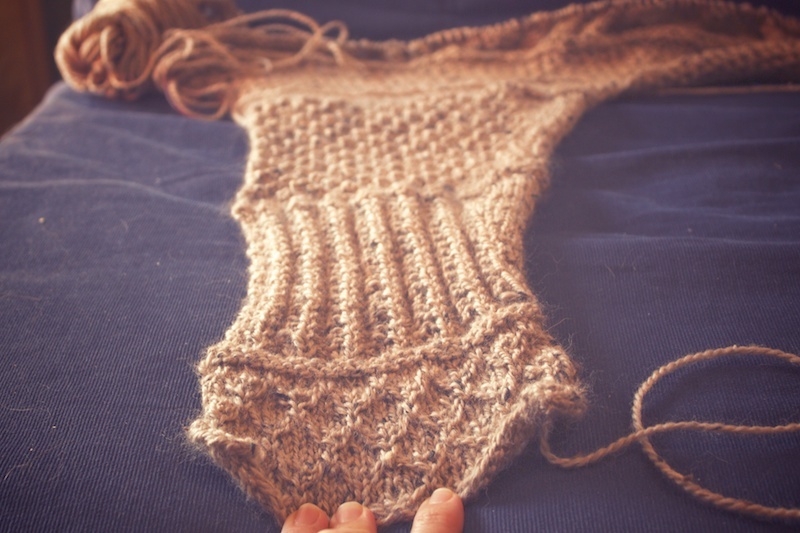 Love this essay of the makings of a gorgeous winter sweater. I have a winter clothing company in India called Prrem's www.prrems.com. We'd love to feature your work there. Do get in touch at diipti@prrems.com if interested.